Check this space regularly for our last minute or one-of-a-kind specials. Always great resorts, always great prices — look to East Coast Condo Rentals for the Right Resort Condo Vacation Rentals on the Right Coast. Scroll down to learn more and rent your vacation week! Renting a week is fast, easy, and most importantly, safe! You won’t be reading the numbers off your credit card to some stranger on the phone (who knows where those might end up?). Instead, your payment is handled discretely and securely by PayPal. If you are already a PayPal member, you are familiar with the benefits of using PayPal to buy on the Internet. If you don’t have a PayPal account, that’s alright, you don’t need one! PayPal’s secure system allows you to use any major credit card to make your payment. There is no cost to you for using PayPal, and by using a credit card, your purchase is protected and your peace of mind assured. 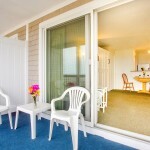 Enjoy beach and ocean views from your one bedroom unit that sleeps 6 people. Peppertree By the Sea offers three room types that can accommodate up to six guests. 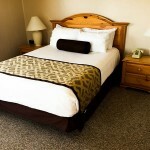 Each room type features a fully equipped kitchen, cable television, DVD player and complimentary wireless Internet. 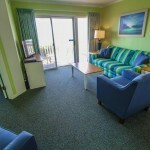 Studios are non-oceanfront and feature a queen murphy bed, a queen sleeper sofa, one bathroom and can accommodate up to four guests. One-bedroom suites feature a queen bed in the bedroom, a sleeper sofa in the living room, and in some units, 2 bunk beds in an alcove, one bathroom and can accommodate four to six guests. 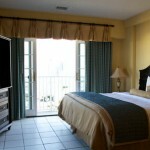 Select rooms offer private balconies and ocean views. Two-bedroom suites feature either a queen or a king bed in the master bedroom, either a queen bed or two twin beds in the guest bedroom, a sleeper sofa, two bathrooms, a private balcony and can accommodate up to six guests. 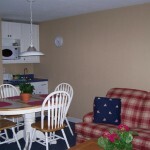 One bedroom condo vacation rental. Riverfront resort. Prime summer Fourth of July Independence Day week. Great price! Compare our $499 rate with the regular resort rate from VRI Vacations website of about $1650 per week. You save about $1150 or 70% off . 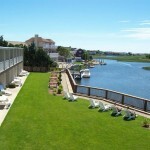 Riverview Resort is located on beautiful Cape Cod, Massachusetts, on the banks of Parker’s River in South Yarmouth. Enjoy our indoor pool and hot tub, fitness center, and comfy chairs featuring views of the river from our back lawn area. Being centrally located in the Mid-Cape area offers many options for shopping, dining, and entertainment. 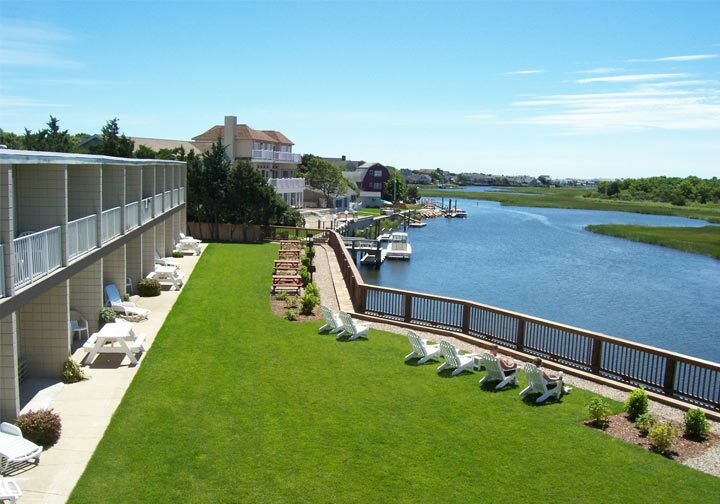 Enjoy nearby beaches, golfing, biking, or kayaking. Or enjoy a day trip to the islands of Martha’s Vineyard or Nantucket, the Cape Cod National Seashore, or aboard a breath-taking whale watch. Click here to rent this week with a credit or debit card or Paypal. We have a summer 2018 poolside studio at the Sandcastle Resort and Club, located on the water in Provincetown, Massachusetts, at a great discounted rate. 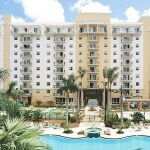 Regular resort rack rate, from Sandcastle’s website, is $2198 per week. Poolside Studios have a balcony with views over the outdoor pool and partial ocean views on upper levels. 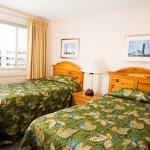 These rooms do not have air conditioning, although fans and ocean breeze are provided. 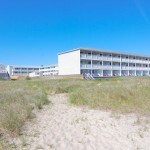 The Sandcastle Resort & Club is ideally located on 200 feet of private sandy beach in a tranquil setting with spectacular views of Cape Cod Bay and Provincetown Harbor. 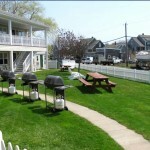 As the largest resort complex in Provincetown, Sandcastle offers you a wide selection of accommodations at a price range to suit any budget. 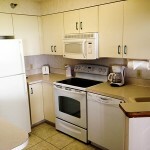 All condos were recently renovated and have fully equipped kitchens. Partake of a comprehensive range of amenities, including indoor and outdoor pools and jacuzzi, as listed below. The Sandcastle Resort & Club is the perfect vacation destination for couples, families, LGBTQ, groups of friends and special occasions. 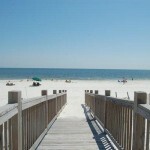 whether you are looking for a relaxing beach vacation or days filled with activities. And just for staying with us we give you an exclusive Sandcastle Resort & Club discount card that you can use during your stay to save money at over 70 local restaurants, shops and activities in and around Provincetown. 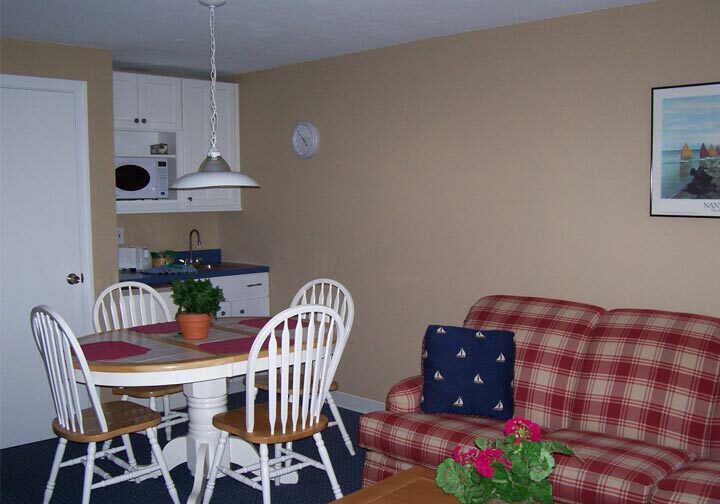 Enjoy a prime summer week in a one bedroom condominium at the Inn Season Falls on Ogunquit Resort in Ogunquit, ME. 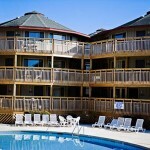 To view resort photos and a video click here. 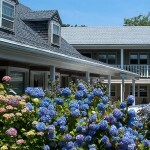 InnSeason Resorts Falls at Ogunquit in Maine offers relaxation and rejuvenation in the friendly seaside village of Ogunquit, located south of Portland, nears Wells. This resort boasts seventy-seven luxury suites, all well appointed including a separate bedroom with a whirlpool spa, a living room with fireplace, sofa sleeper, kitchenette, cable television and high-speed Internet capabilities. 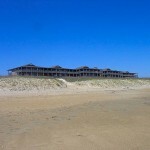 A Place at the Beach III is located in picturesque Atlantic Beach, North Carolina, also known as the Crystal Coast. There are plenty of activities for family members of all ages, from shopping, fishing, boating, charters, to sunbathing, restaurants, nightlife, and much more! This is an oceanfront resort, it’s right on the beach. However, there are few oceanfront units. Most units have sideways or partial water views. Due to the closeout nature of this inventory, we do not disclose the unit number and cannot guarantee views. We have a great two bedroom condo summer school vacation rental week in early August 2018. Take advantage of great summer beach weather and go when many of the kids are already back to school! Compare our great rate with the standard $1650 weekly rate (price found at Atlantic Beach Realty, checked December 5, 2017) and save more than 30% off! 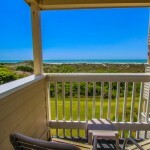 A Place at the Beach III in Atlantic Beach, N.C. features one and one-half-bedroom, two-bedroom and three-bedroom units. Each offers a king bed in the master bedroom with an adjoining bathroom, a queen sleeper sofa and private balconies. 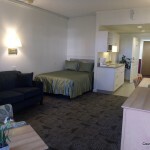 Each type of unit also provides a living area, dining area, cable, DVD player, televisions, hair dryers, complimentary wireless internet and free calling to North Carolina, South Carolina and Virginia. 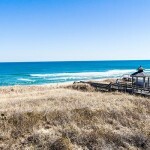 Atlantic Beach, N.C. is a popular North Carolina beach destination with plenty for visitors to see and do. You’ll experience the local restaurants at their best. With the great location, seafood choices are always fresh and tasty. 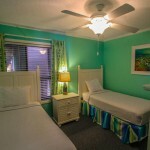 We offer a studio condominium vacation rental for a perfectly nautical prime summer school vacation week. Studios sleep 4 people (most comfortable for 3 people), and include 1 double murphy bed, 1 Queen pull-out sleeper sofabed, and 1 full bathroom with tub/shower. 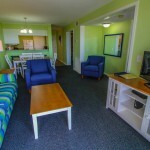 Unit amenities includes full kitchen including electric stove with oven, full size refrigerator, microwave, toaster, and coffee maker, ceiling fans and an extra box fan (no AC, you’ll find that most places on the island do not have air conditioning), and DirecTV with DVD player. • Open air bike racks. No bicycles are allowed in units or on the porches. 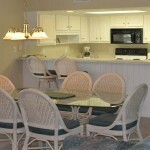 The Island Manor Resort features both Studio and One Bedroom suites with fully equipped kitchens. Gas and charcoal barbecue grills with picnic tables are available for your enjoyment, as well as a playground area for the children. 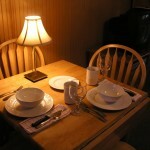 Dine out at one of the Island’s many fine restaurants, or enjoy a meal prepared right in the privacy of your own suite. Block Island is located about twelve miles off the Rhode Island coast. To reach the island you must take a ferry or a small plane. Once you arrive, you will be overwhelmed by the islands elegant beauty and small town charm. Activities include biking, parasailing, hiking on the many nature trails and beaches, sunbathing, kayaking, shopping, horseback & moped riding. A car is not always necessary due to the small size of the island (seven miles by three miles). 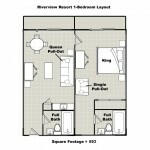 Two bedroom (2BR/6) sleeps 6 people. Great mid-summer school vacation weeks. 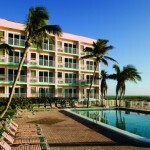 Take advantage of our great 60% discount off the resort’s regular $2452 weekly rate (source: IHG.com). Highly-rated resort on Tripadvisor (4.5/5 average score, recipient of Trip Advisor’s Certificate of Excellence). REDUCED! Was $1199, NOW $999, NOW$699! Colonial Williamsburg is the largest living history district of its kind in the country. Dressed in period costumes, “residents” live, work and reenact daily life and historic events while engaging with visitors. Imagine dining in George Washington’s favorite tavern or discussing 1700s politics with the town smithy. Our resort puts you only eight miles from the heart of it all. Stepping onto our resort you’ll feel the same sense of old-world charm among the colonial period-inspired architecture. The spacious villa accommodations feature fully equipped kitchens and dining areas, jetted tubs and other amenities. The property is tucked away in the forested hills on a quiet edge of town. Yet, you can easily access downtown and the many attractions and points of interest found throughout the region. The scenic, 23–mile Colonial Parkway that links Williamsburg with Jamestown and Yorktown is known as the Historic Triangle, offering even more historic sites of the earliest days of America. 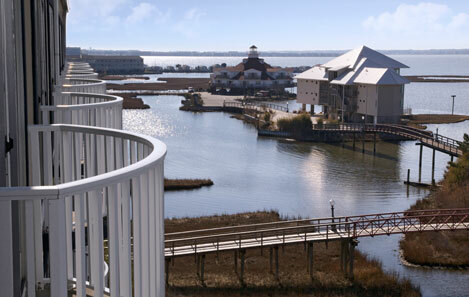 Plus, the resort is only 45 minutes to Richmond, Virginia. This beautiful and historic city is home to many significant historic structures, museums, battlefields and monuments of the American Civil War. Add in a little extra family fun, from browsing historic shops in Merchants square to theme park excitement at Busch Gardens and Water Country USA, and you’ve got a perfect vacation for the whole family! NEW! After months of construction, the new Williamsburg Resort amenities center recently celebrated its grand opening. The Greater Williamsburg Chamber & Tourism Alliance joined the resort’s staff for a ribbon-cutting ceremony. The Center’s Town Square features an arcade, four-lane bowling alley, 18-hole mini golf, sports court, playground, fitness center, indoor pool, snack bar, Marketplace and a variety of family activities. 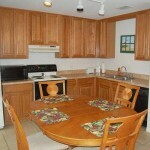 Two bedroom, 2 1/2 bathroom condo vacation rental, sleeps 6 people, full kitchen. 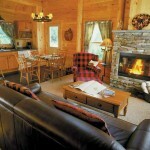 Kings Creek is a preferred resort, and all of their areas, including Estates, Towns, and Cottages, are simply wonderful. This unit is unassigned, so we do not know in which area the unit will be located. Find more information and photos at the resort’s website. 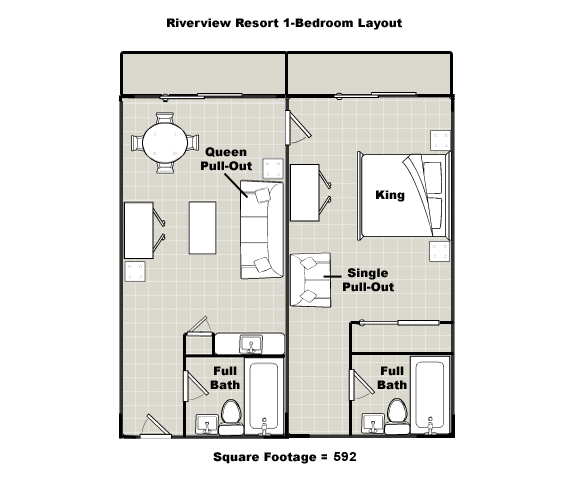 Compare at resort rates for two bedroom units starting at $2000 plus tax and up. There is so much offered at King’s Creek Plantation that days can be spent without leaving the resort! Gorgeous swimming pool complexes dot the resort. The year-round Aquatic Center houses an indoor junior Olympic-sized swimming pool, jetted hot tubs, and much more. Tennis and basketball courts, jogging trail, on-site barbeque. The fun begins at King’s Creek Plantation! 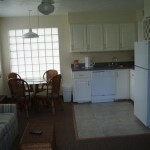 Nice two bedroom units in quiet golf course area near beach, sleep 6 people, for the week ending on the Fourth of July. 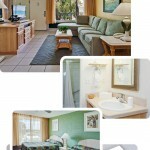 Compare our rate, which includes tax and cleaning, with the regular resort rate of $1383 plus tax. 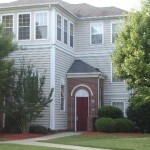 Go here to rent this condo. One Queen Bed in master bedroom and two twin beds in second bedroom, or a queen bed in each bedroom, and one sofa sleeper bed. Full kitchen, which includes stovetop and dishwasher. 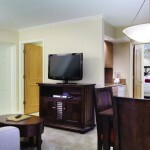 Complimentary wireless internet access, cable channels, as well as a DVD player for your entertainment. 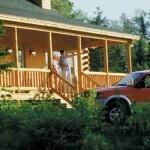 Enjoy a two or three bedroom luxury cabin condo vacation rental this summer at Maine’s Rangeley Lake Resort. Please click here to check availability or to rent your week. Compare at $1500 to $1800 per week plus tax, which is the resort’s regular summer “vacation” rate, and save a lot by renting from us! Rangeley Lake Resort is a charming cluster of log cabins, on a 35-acre lake front parcel that was once the golf course of the prestigious Rangeley Lake House. Separated by stands of white birch, poplar and fir-many lots stretching to almost one acre-this setting will provide natural beauty, privacy and a sense of exclusivity rarely available on Maine Lakes. Built from white-cedar logs milled on three sides, with natural hand-peeled surface on the outside, these bright cabins will bring the tantalizing, perfumed fragrance of Maine’s cedar woods indoors. 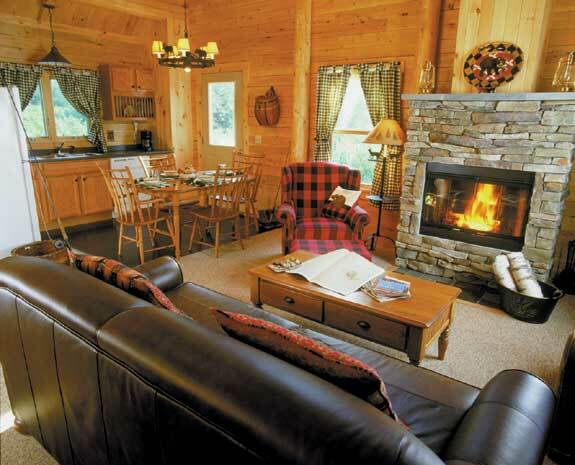 Modern kitchens, baths and spacious living areas refresh the priceless Maine tradition of lakeshore vacations. Enjoy 35 acres of pristine property that the Resort has to offer. With magnificent views overlooking the lake, the Clubhouse with it’s massive stone fireplace will be a cozy gathering place for friends and family. 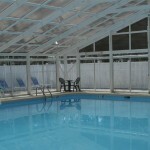 The clubhouse offers a heated swimming pool, jetted hot tub and cedar sauna to soothe weary muscles. Best of all, it’s open to members year round, even when not in residence. As of this writing in June 2014, pets are allowed. Dogs only, $40 fee per dog per week, maximum of 2 dogs, must be well-behaved and under owner’s control at all times. Bright log cabins with conveniences of modern amenities, appliances and central hot-water heating give new meaning to a lakeside resort. In this exclusive, private setting, neighbors will quickly become lifelong friends. Rangeley lies in the western mountains, an area consisting of 99% forest and water. This area is an ideal vacation destination for any time of year offering activities for the young and old. Rangeley consists of one main street lined with gift shops, restaurants and small businesses. No Street light to be had. The Red Onion Restaurant is famous for their delicious pizzas. Stop by Pine Tree Frosty for ice cream and watch the ducks on Haley Pond. Every season offers its own charm. 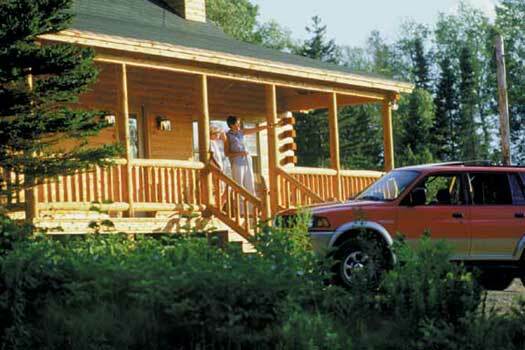 Rangeley is historic, quaint, and hospitable and welcomes all visitors. 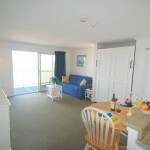 Enjoy a one bedroom condo vacation rental this summer at Ocean City, Maryland Eastern Shore’s Coconut Malorie Resort. Please click here to check availability or to rent your week. 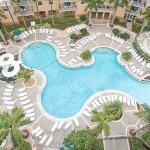 Compare at $1000 per week plus tax, which is the resort’s regular summer rate, and save a lot by renting from us! 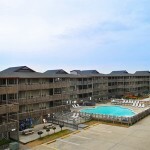 Discover the Coconut Malorie Resort, a Festiva owned Ocean City Maryland Hotel, and the perfect choice for your Ocean City Maryland vacation. Whether you are looking for a relaxing vacation or a vacation packed full of activities, you will find it in Ocean City MD. Experience The Coconut Malorie’s hospitality and all the amenities available to our guests. Days begin with beautiful sunrises and peaceful strolls along our miles of unspoiled sandy beach. Then visit a nearby local restaurant, such as the Sea Bay Café or Hall’s for a bountiful breakfast. Continue the day with a dip in the Atlantic Ocean, sunbathing on the beach or on our bayside patio. Grab a boogie board from a beach stand rental and ride some waves. Enjoy our beautiful bayside outdoor swimming pool which is open from May to October, where you can lazily soak up the sun or relax with a pool side refreshment. Nighttime in Ocean City Maryland brings pleasant evenings at the beach and free Ocean City entertainment for all ages. Stroll our World Famous boardwalk or enjoy the rides at Trimpers Amusements or on the Pier. There are many fine dining options & night clubs within easy walking distance of the Coconut Malorie & we are adjacent to the fabulous Fager’s Island Restaurant. A visit to the Coconut Malorie creates lasting memories for you and your family to cherish for years to come. 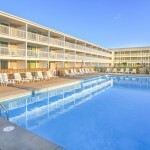 The Coconut Malorie is a 5-story bayside hotel located on 59th Street in Ocean City, Maryland. 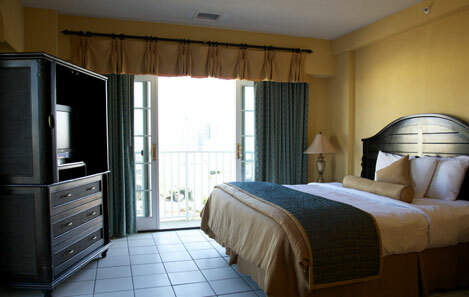 Enjoy fantastic accommodations in our 85 unit property, featuring standard studios & one-bedroom villas. 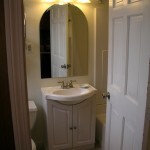 Our 530 square foot one bedroom is perfect for a little privacy. 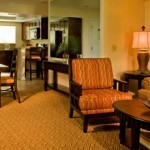 Enjoy beautiful bay views in some of our units. As you enter the unit, you are in the kitchen area. Adjacent to the kitchen is the plush marble tiled bathroom. Turning left you open the double louver doors to enter your private bedroom. Traveling back through the kitchen area you step down into the living room area which features a double sofabed, TV, small dining area, & a small standing balcony. 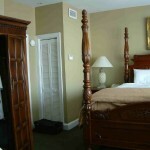 At Church Street Inn, we offer one bedroom condo vacation rentals. Please click here to check availability or to rent your week, or go to The Vacationator to see all inventory. All 1BRs are two story townhouses. The first floor has living room, a compact but full kitchen and a half bath. Upstairs is a master bedroom (king or 2 double beds) and master bathroom. The condos are about 600 square feet in size. Elevators are available but all units have stairs. Located at the corner of Church and Market Streets where Charleston’s famed market area hums with activity, Church Street Inn and its plush one- and two-bedroom townhomes are elegantly designed in a style reminiscent of a time gone by. Charleston holds a magical place in history and the city’s diverse character stems from three centuries of American-European-Caribbean traditions. Church Street Inn is within easy walking distance of magnificent homes, art museums, exquisite restaurants and chic boutiques. Ghost tours and historic walking tours are a “must do” while in Charleston. And just outside the resort’s front door, you can take a carriage ride through town to hear fascinating tales of this historic city. The Inn is a short drive to beautiful beaches, challenging golf courses, and 300-year-old plantation homes. Charleston is a city where the old rests easily alongside the modern, and Southern hospitality is of prime importance. 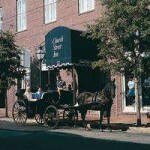 The Church Street Inn is centrally located in the heart of Charleston’s historic Market Street District. Charleston, quite simply is a magical place in history. Its diverse character combines three centuries of American-European-Caribbean history and traditions with architectural splendor, tropical climate and flora, devotion to the arts, exquisite dining, and chic boutiques. The harbor vantage of White Point Gardens and The Battery, where the first shots of the Civil War were fired, leaves no doubt why Charleston’s allure now draws over five million visitors a year, leading Conde Nast Traveler to rate it the fourth most popular destination in the U.S. and eighteenth in the world. 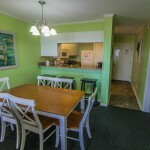 Enjoy a two bedroom condo vacation rental for 6 people. Condo features a queen bed in the master, 2 twin beds in the second bedroom, and a queen sofabed. The villa provides a full kitchen. Many condos have 2 bathrooms and ocean views. Please click here to rent this week. Or get more info on this resort here. Please click here to check availability or to rent your week. Regular rates for these condos range from $1711 to $2057, (source: Wyndham Extra Holidays), compare and save! 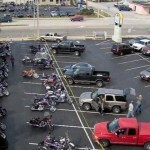 Get away and break loose at the 2013 Myrtle Beach Bike Week, while you enjoy outstanding lodging accommodations at the Plantation Resort of Myrtle Beach. 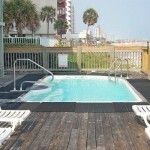 This is a 2BR Loft condo vacation rental, which sleeps up to 8 people in one king, 2 double, and 1 queen sofa beds. This villa provides 2 bathrooms and has a full kitchen. Welcome to Plantation Resort. Our location in Surfside Beach, less than 4 miles south of Myrtle Beach, offers plenty of vacation relaxation without the traffic noise, crowds or commotion of nearby Myrtle Beach. After a day of fun and sun, you can escape and relax at our secluded Resort. Plantation Resort is nestled within a protected bird sanctuary home to Canadian Geese, American Woodcock, and all sorts of wildlife in abundance. Rest by the pool surrounded by palmetto trees full of beautiful birds under the warm semi-tropical South Carolina sun or cool off floating around the Lazy River. 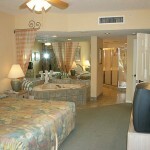 Plantation Resort is a vacationer’s paradise ideal for couples, families and groups looking to get away. 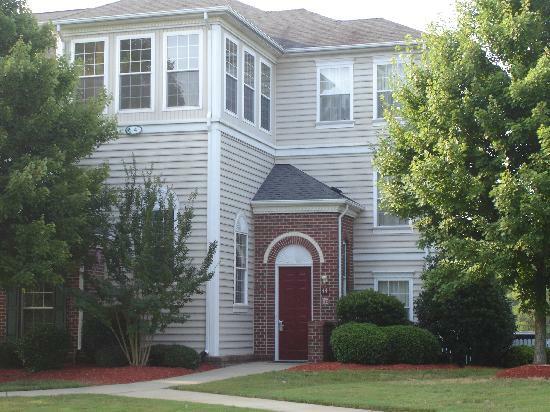 We are located only 15 minutes from the Myrtle Beach International Airport. You will experience privacy and comfort and still be only minutes away from the popular attractions and beautiful beaches nearby. 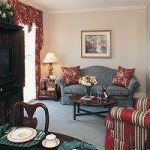 Enjoy Plantation Resort, a Premier South Carolina Vacation Destination! 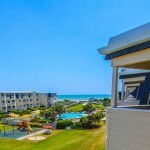 Plantation Resort offers the privacy, comfort and style of private condos only minutes away from all the major attractions and popular beaches that the Myrtle Beach Area is famous for. Our guests balance their high energy activities in Myrtle Beach with the calm, serene surroundings and family atmosphere of Plantation Resort. Come play golf, enjoy our Health and Swim Club – including our spa services, and take part in a variety of fun Resort activities for adults and children. Plantation Resort offers over 300 beautifully appointed one, two and three bedroom condominium villas, many units with second floor lofts, that can sleep up to 10 people comfortably. 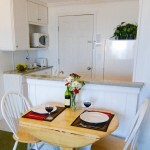 Each villa features a fully equipped kitchen, cable TV, DVD/VCR player and washer and dryer. Deluxe hotel-like guestroom accommodations are also available that are equipped with a king bed, sofa sleeper and kitchenette (no oven). Read more about our guestrooms and villas. 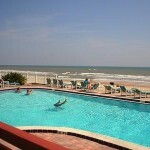 Relax in the tranquil surroundings of Surfside Beach. Enjoy the semi-tropical breezes while you relax by the pool. 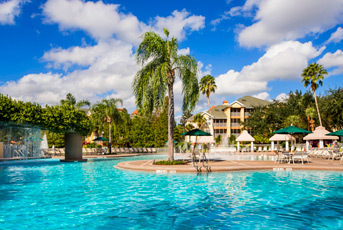 The on-site water playground is encircled by our lazy river. 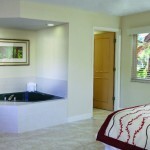 Our heated whirlpool, also located within the lazy river, enables you to relax as the children play. From outdoor activities like golf, biking and swimming to daily Resort activities and services, Plantation Resort in Surfside Beach will feel like your home away from home. 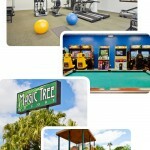 Read more about our Resort features and amenities. Plantation Resort is a golfer’s dream come true. We offer exceptional values at our featured golf course Indigo Creek Golf Club. Let our golf experts assist you with tee times to make your golfing experience memorable. Our Resort is located on main transit points with easy access to many of the competitive golf courses in the area. Read more about our golf. Besides golf, the Resort provides daily and weekly scheduled events for adults and children. You’ll find fun for the whole family at Plantation Resort. Read more to learn more about all the great activities. 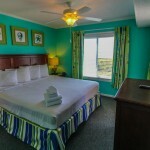 Surfside Beach accommodations with up to three bedrooms. Enjoy the luxury and privacy of our spacious condominium villas and choose from deluxe hotel rooms with kitchenettes, plus one, two and three bedroom villas. 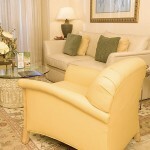 Each villa is completely furnished and equipped with all of the comforts and conveniences of home. 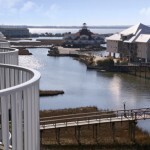 The resort is only 10 minutes south of Myrtle Beach but far away from the hustle and bustle. Stay with us as a guest or become part of the Plantation Resort condominium ownership timeshare family; the choice is yours. All units are non-smoking, no pets, no trailer/RV parking, and $100 security deposit required. Trace the steps of presidents and statesmen from pre- and post-war eras while you visit historical re-enactments and walk along the cobblestone streets of Williamsburg Virginia. 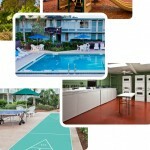 Preserving and emulating the spirit of Colonial America, Greensprings Vacation Resort provides every essential amenity for your well-earned vacation. Golf lovers will find challenge on the adjacent Jack Nicklaus designed course. Everything you’d expect from a world class resort awaits you at Greensprings Vacation Resort where you can relax in your private whirlpool, lounge in front of your very own fireplace, take a swim in the indoor/outdoor pools, or play a set or two on the floodlit tennis courts. Find photos of Greensprings here. Colonial plantations, Indian relics and historical landmarks that pre-date the Revolutionary and Civil War provide a glimpse into the birth of a nation. Stunning scenery greets every season with kaleidoscopic hues enveloping majestic mountains and Atlantic Ocean waterways gracing Virginia ‘s Tidewater. Housekeeping Service. Daily housekeeping service is available at a nominal fee. Call front desk reception to schedule. 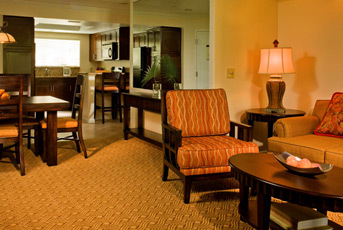 The regular resort rate is $1838 for this week (source: reservations manager), you save over $500 off! 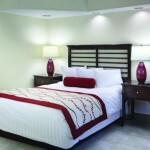 The two-bedroom suites feature a master bedroom with a queen-sized bed and a private bathroom. The second bedroom has two twin beds and a separate full bathroom. 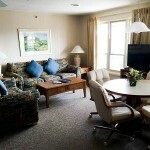 The living area features a front deck with a beach view (some units), and also has a queen-sized pull-out sofa sleeper. 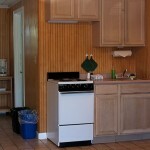 The kitchen is fully furnished with a microwave, refrigerator and kitchen electrics such as a mixer, blender and more. Note: OBBC is a large resort located on both sides of the beach road. Units are assigned at check-in. Location of and views from your unit are not guaranteed. 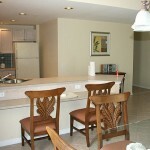 Kitchen: Fully furnished with a microwave, refrigerator and kitchen electrics such as a mixer, blender and more.